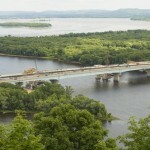 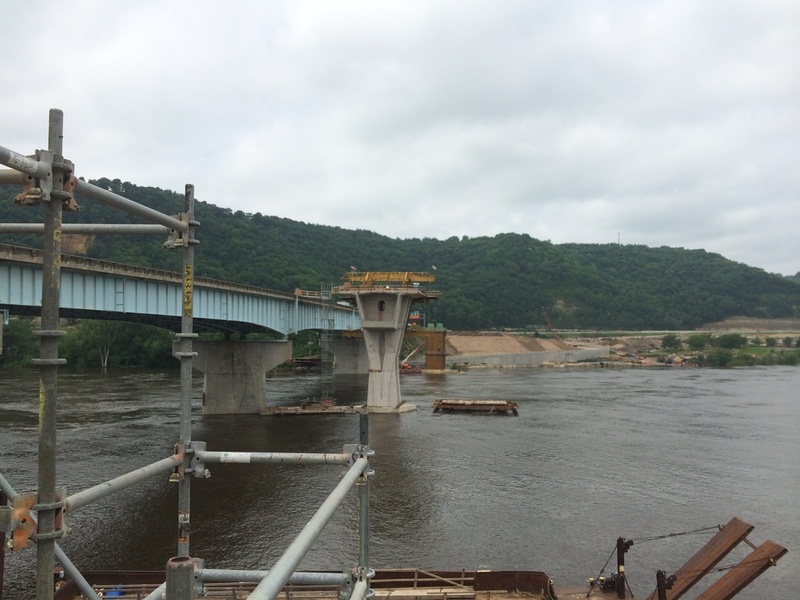 The I-90 bridge over the Mississippi River is a heavily used commuter route for travelers in the La Crosse/La Crescent region. 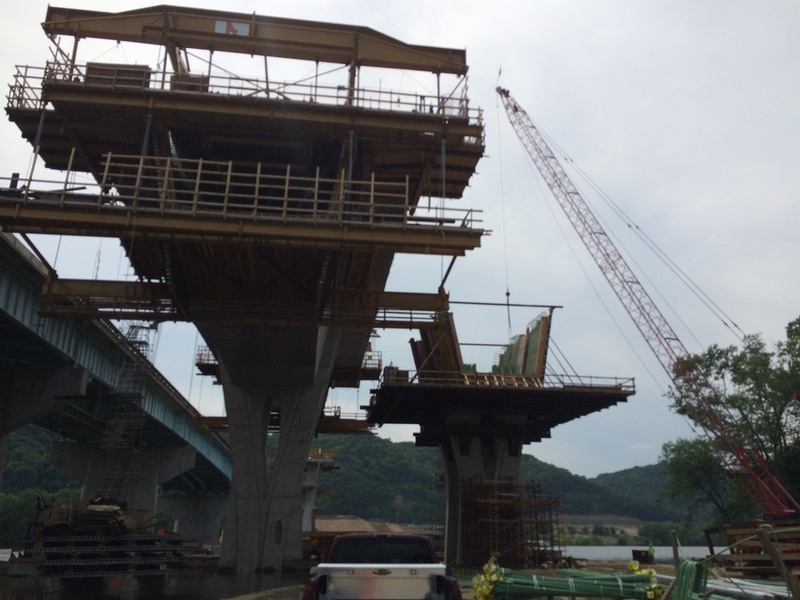 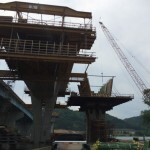 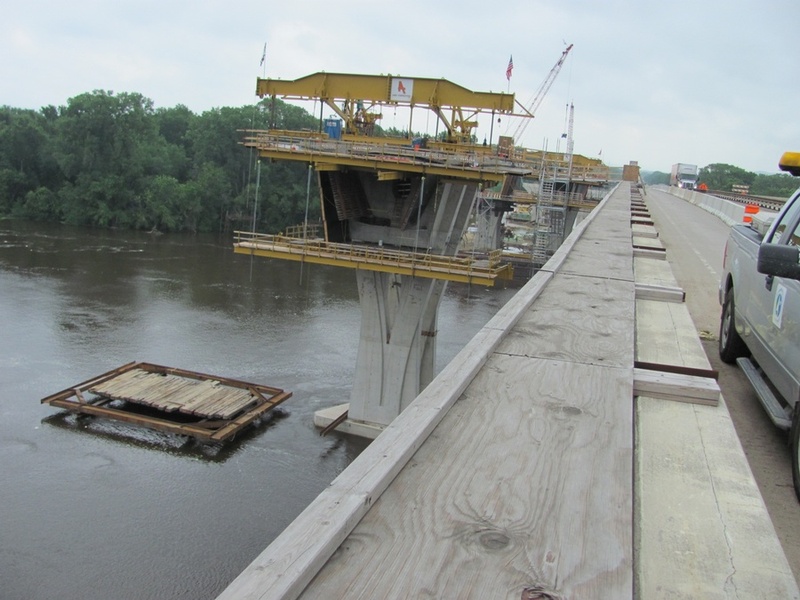 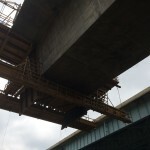 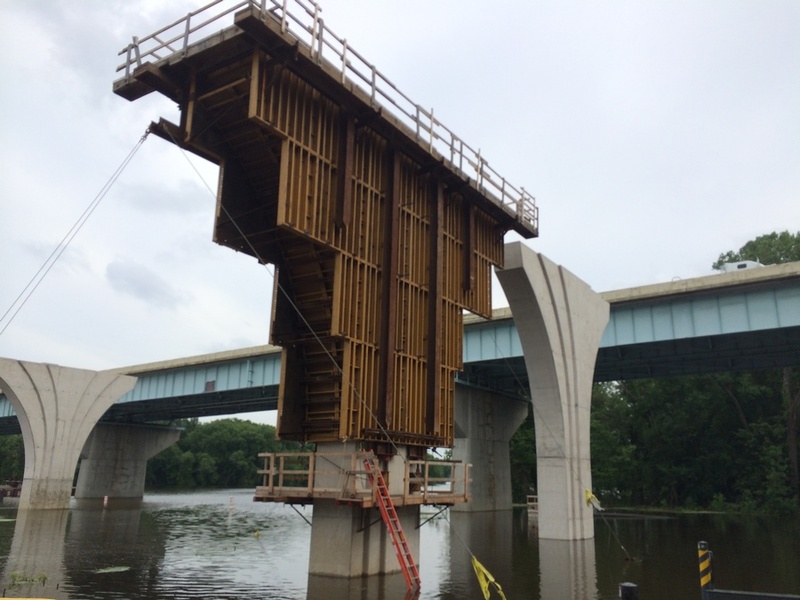 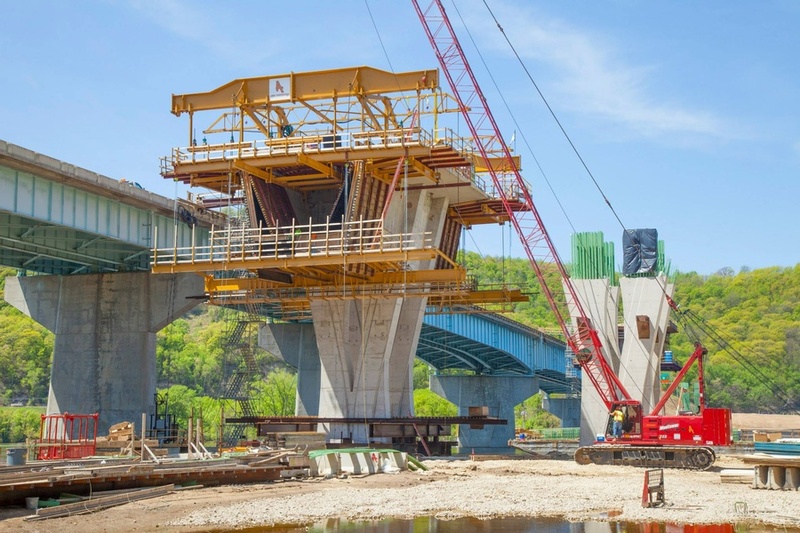 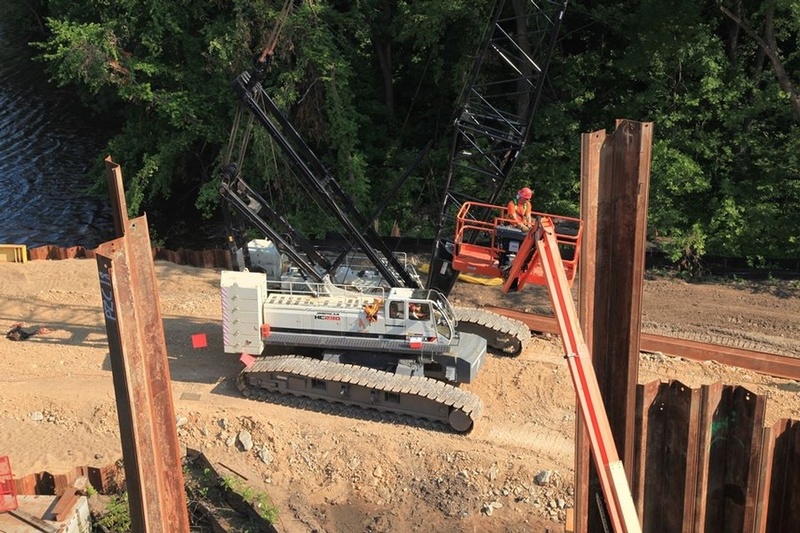 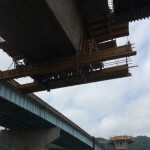 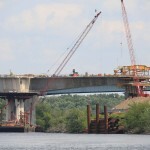 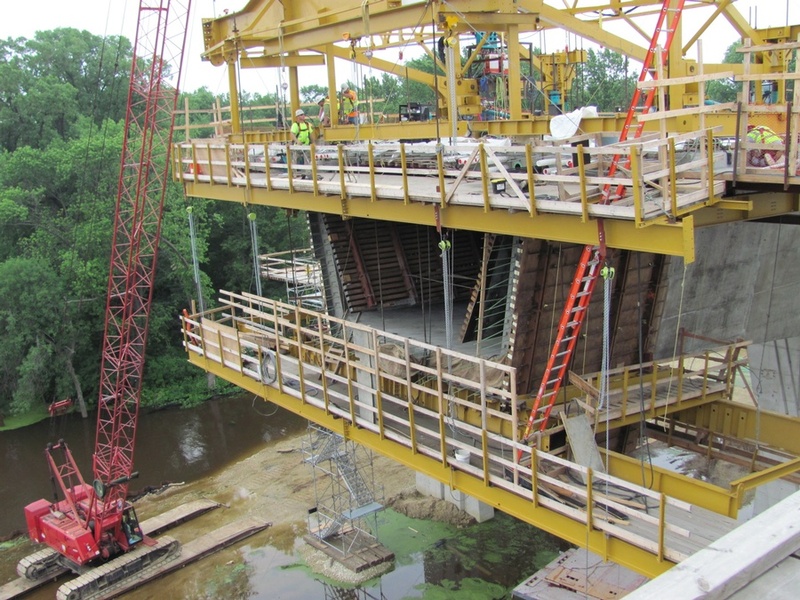 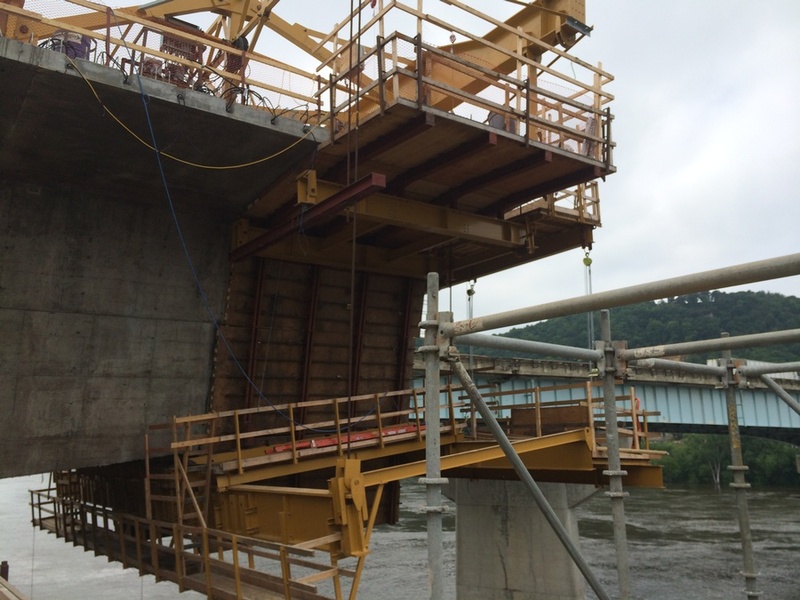 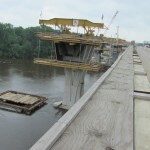 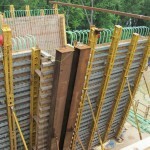 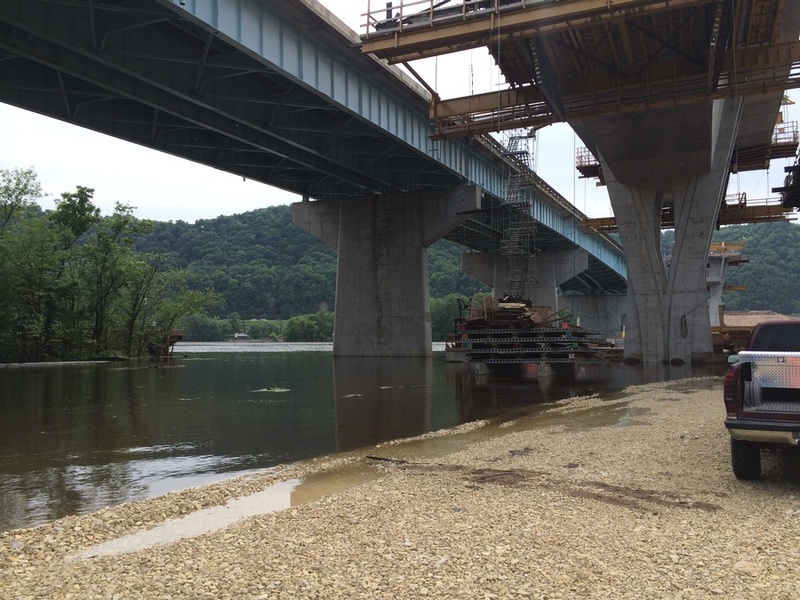 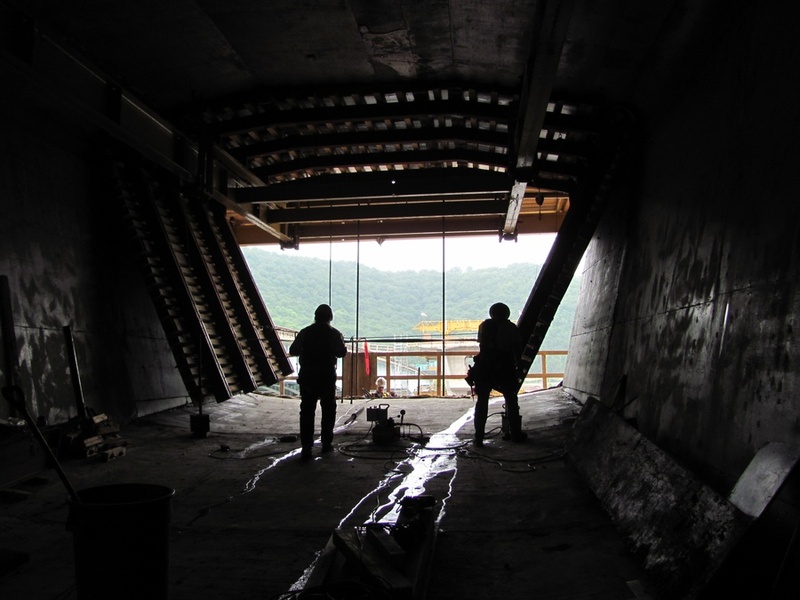 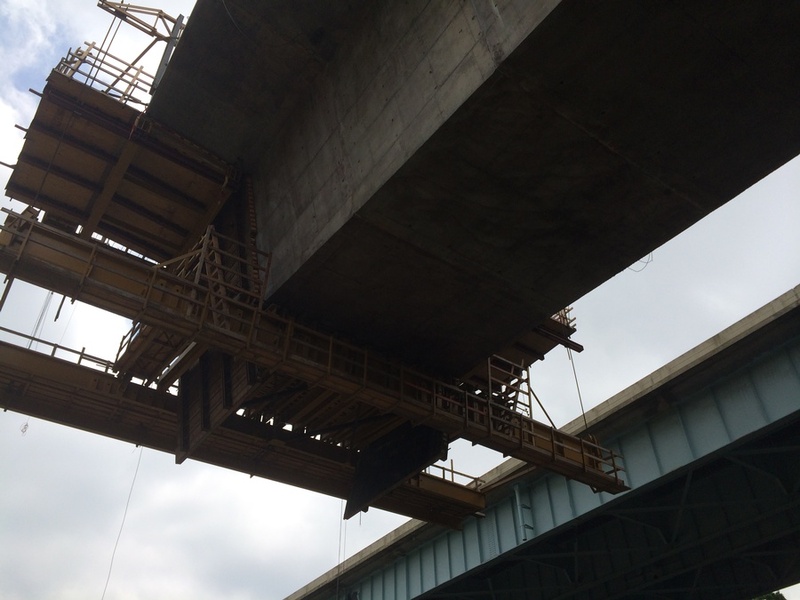 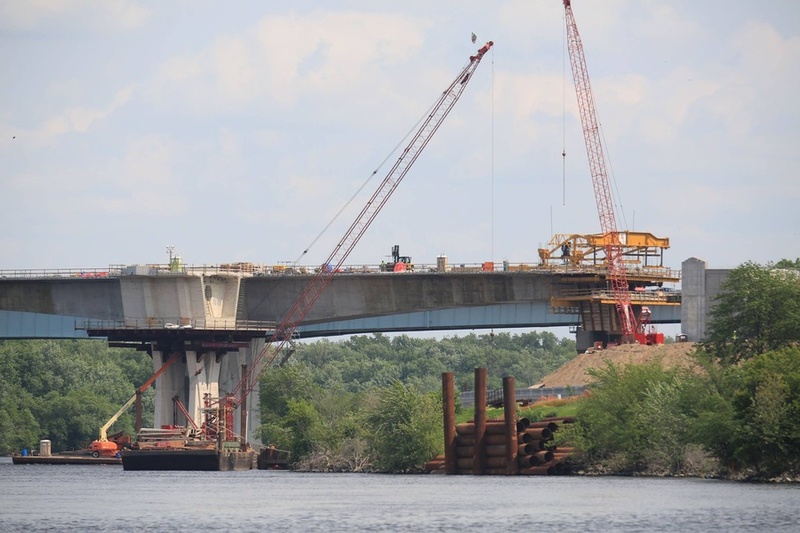 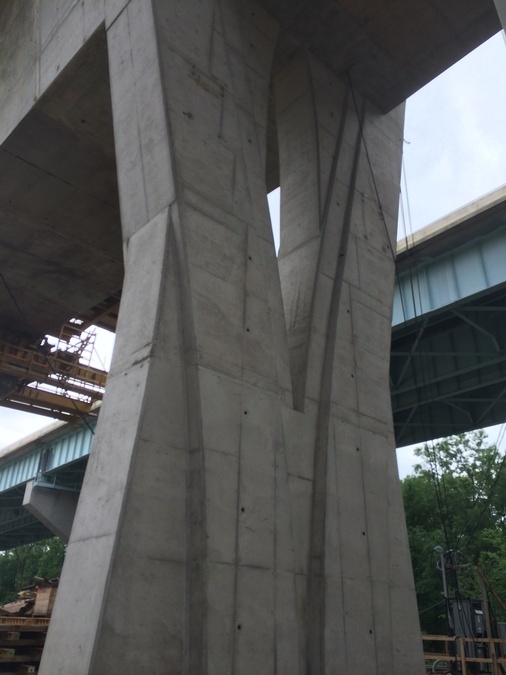 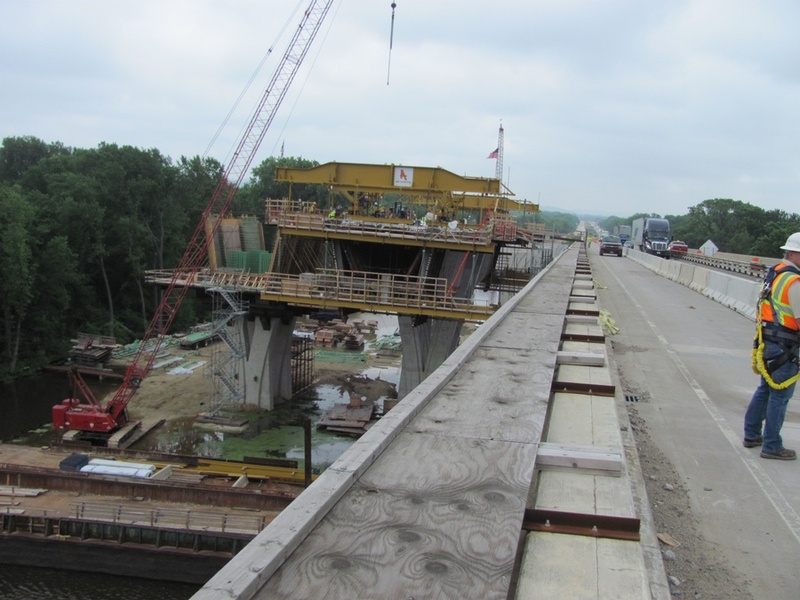 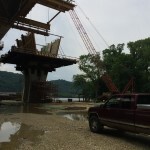 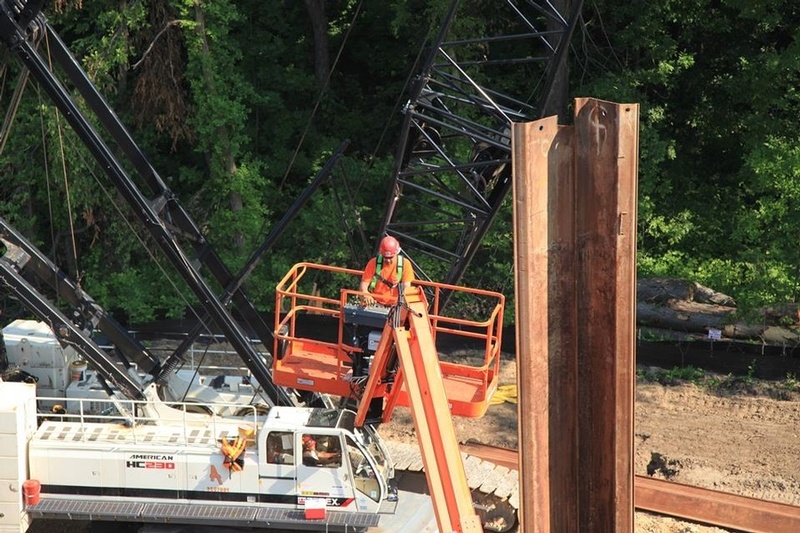 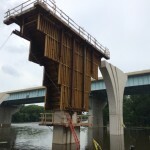 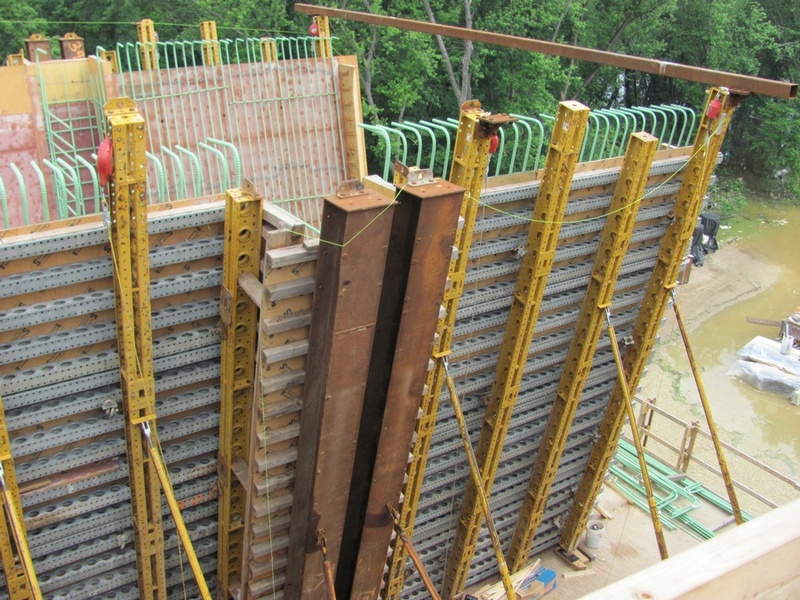 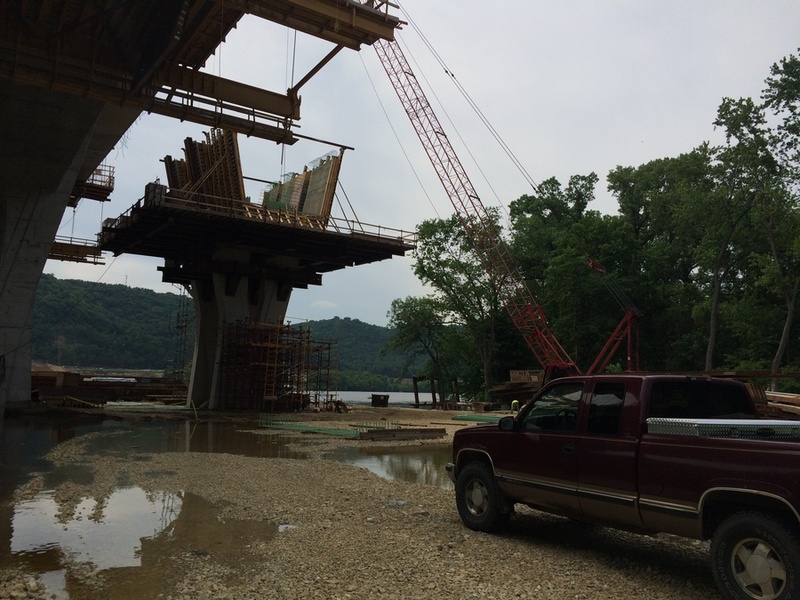 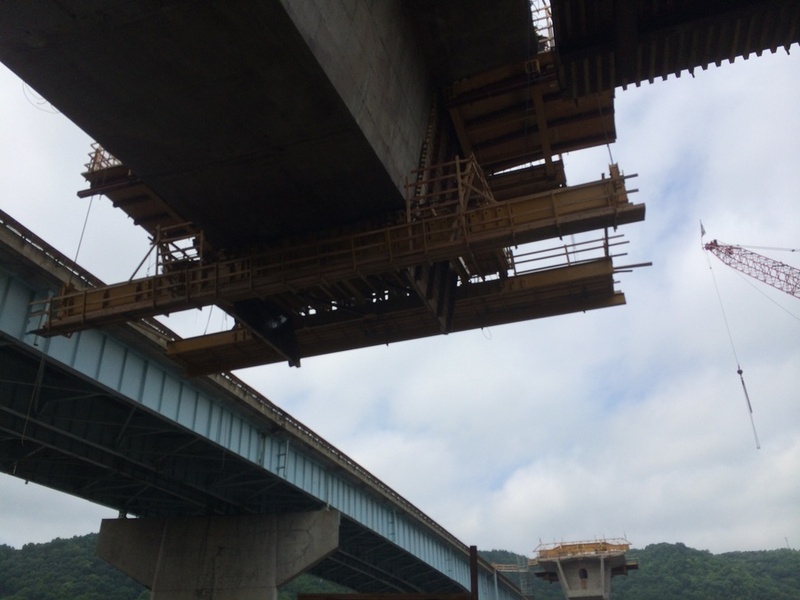 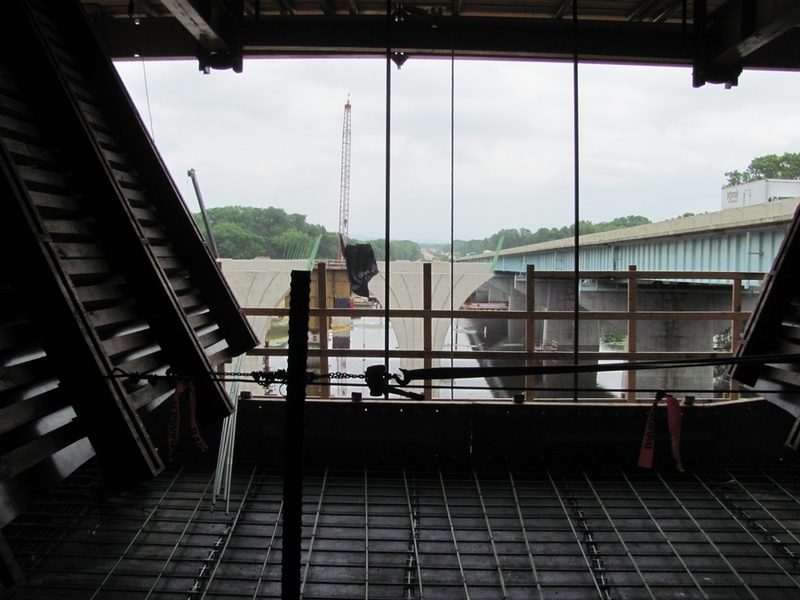 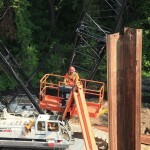 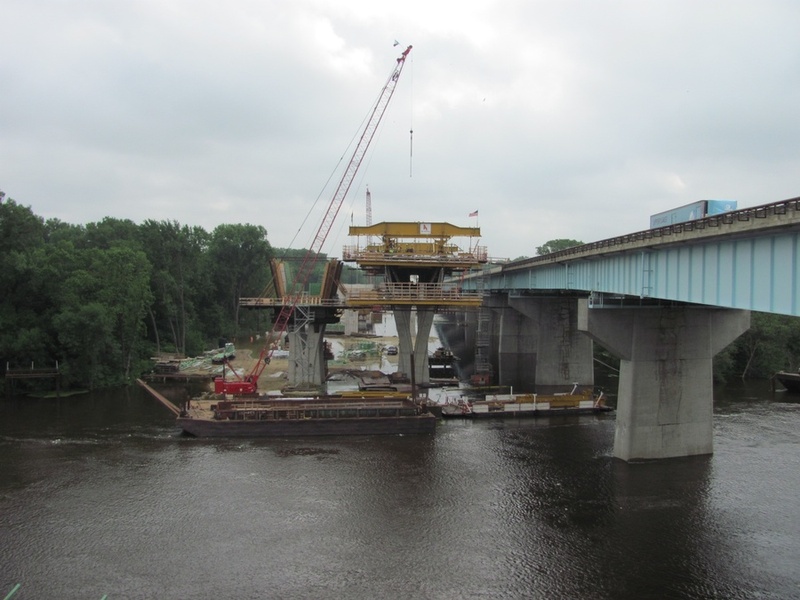 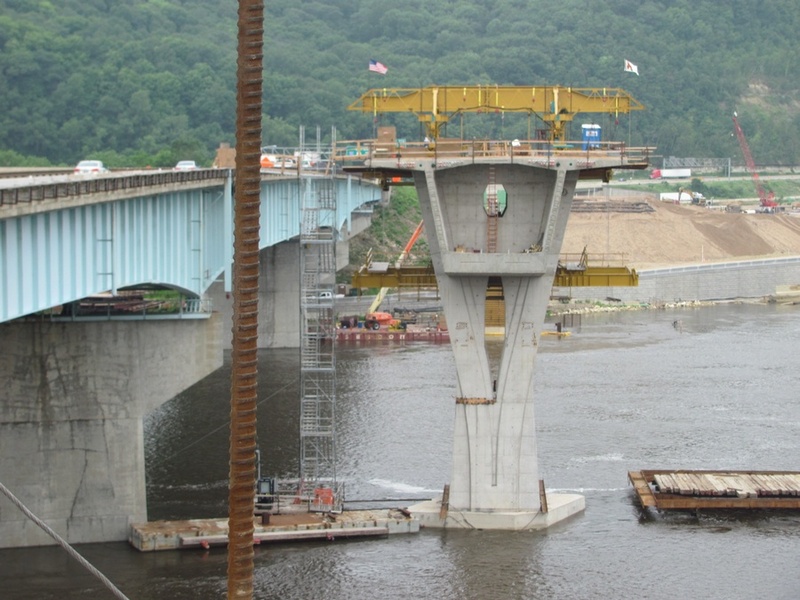 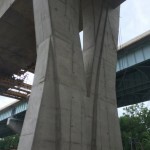 The existing 43 year-old fracture critical, steel girder bridge had narrow shoulders that caused lane closures both when vehicles were stranded and during routine maintenance operations. 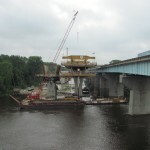 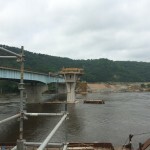 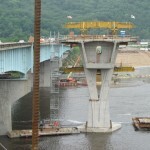 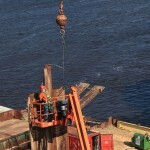 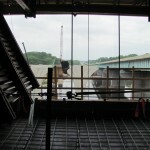 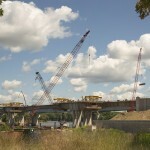 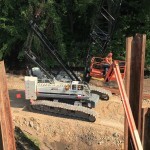 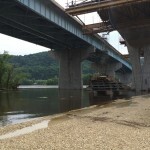 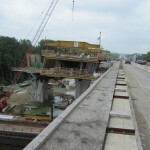 The existing bridge was removed after the new bridges were completed. 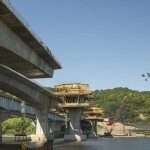 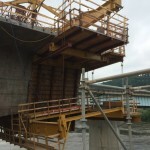 The new $187.5M cast-in-place segmental bridges consist of two separate bridges parallel and upstream from the existing bridge. 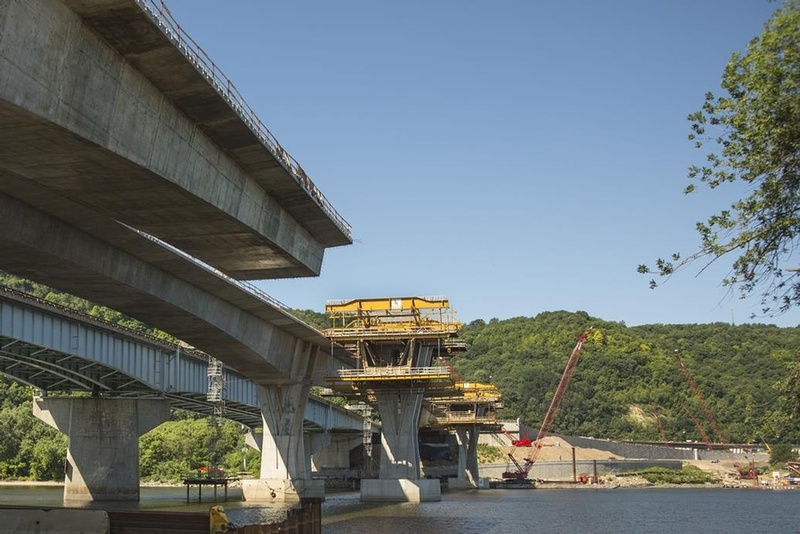 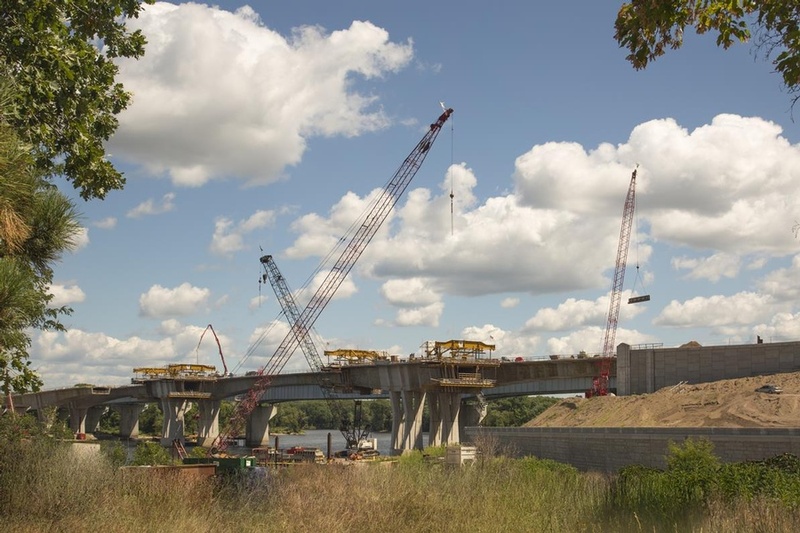 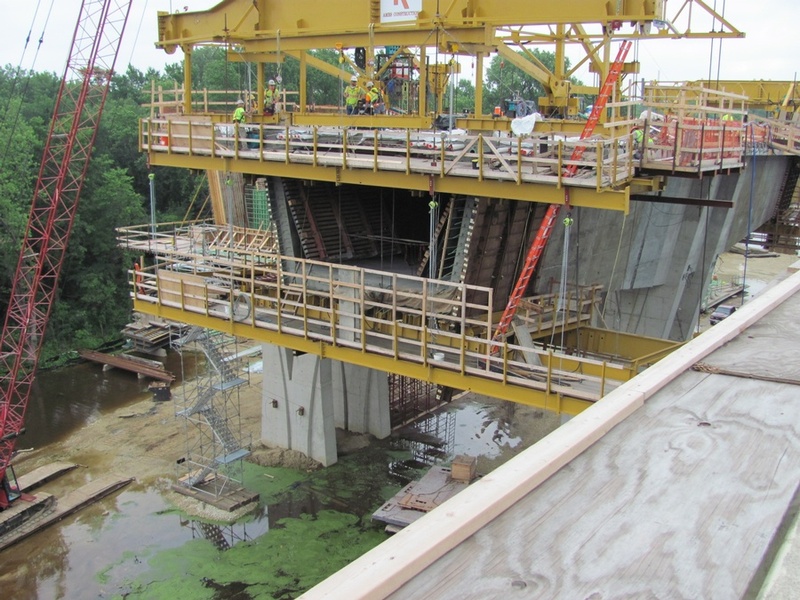 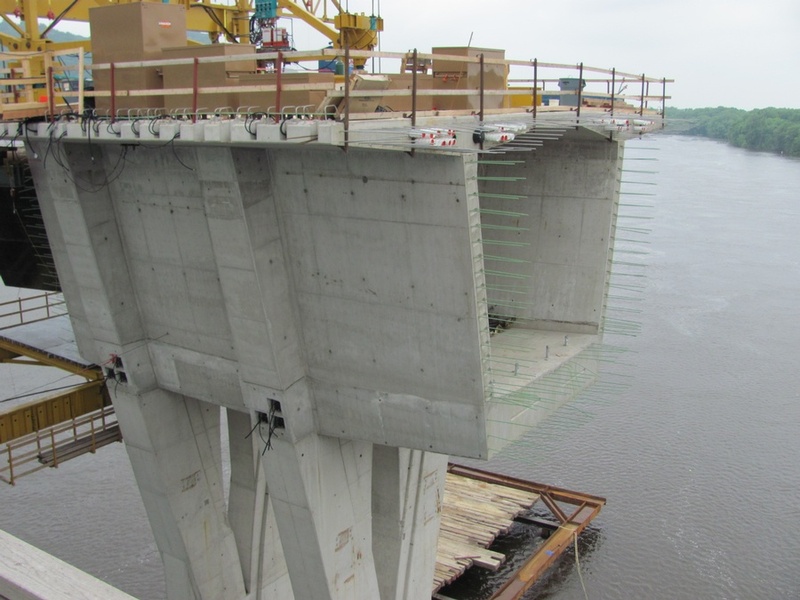 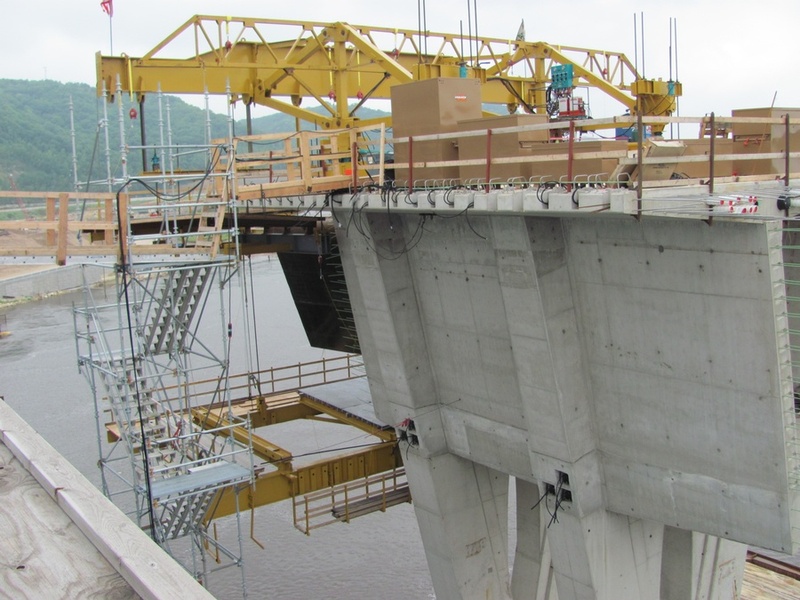 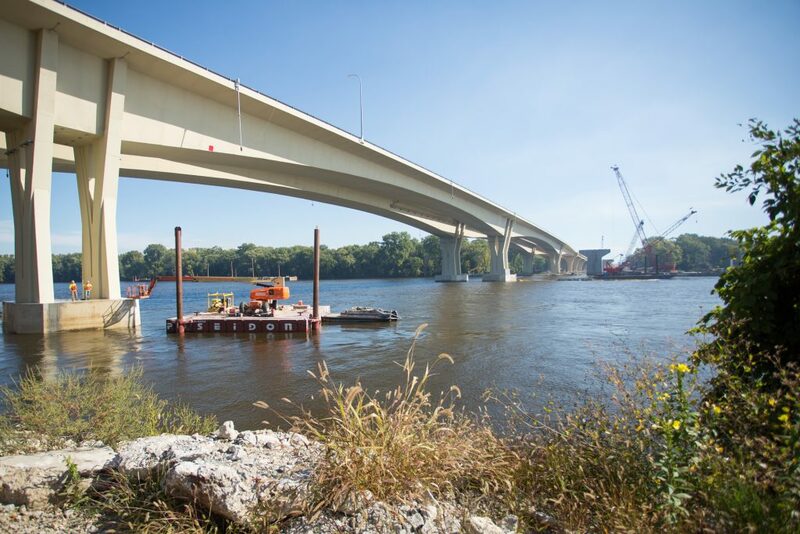 The bridges are 2,593 ft. long concrete box girder structures spanning the main river channel with precast concrete girders over the back channel. 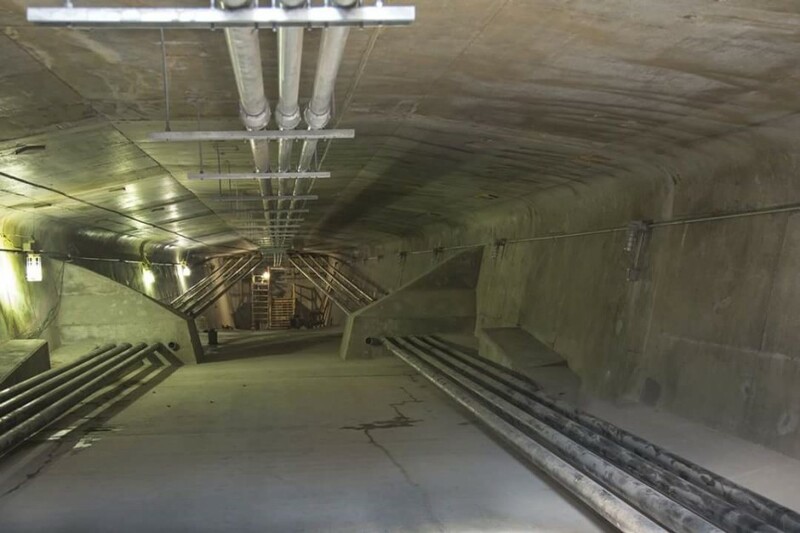 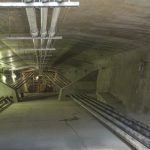 Details of the structure include a 100 year design life, width approximately 45-66 ft., two 12 ft. lanes in each direction, an eastbound acceleration lane, 12 ft. outside shoulders, and six ft. inside shoulders. 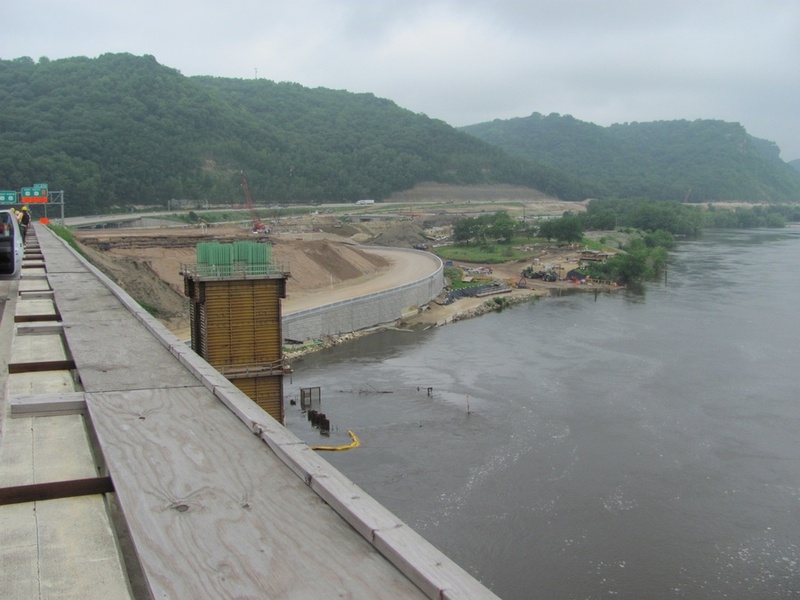 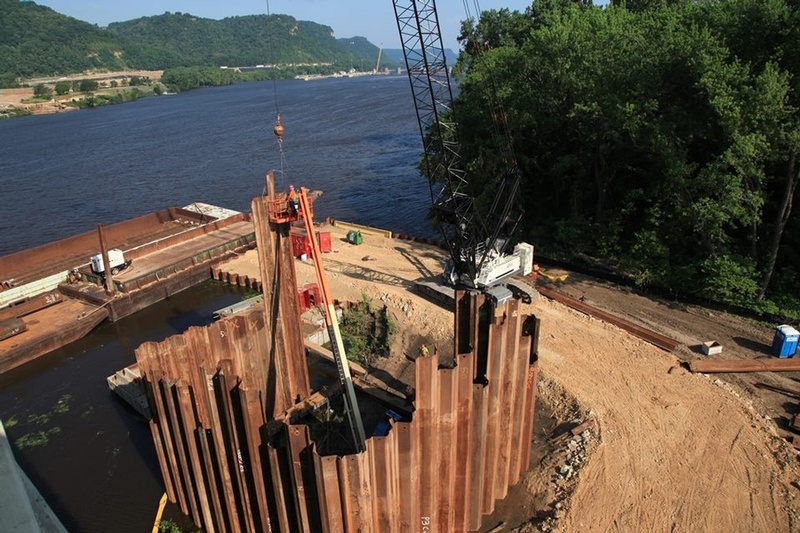 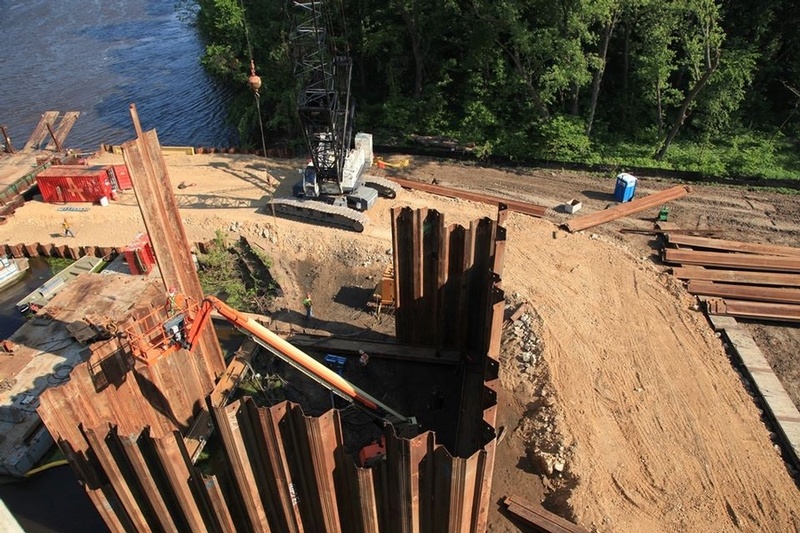 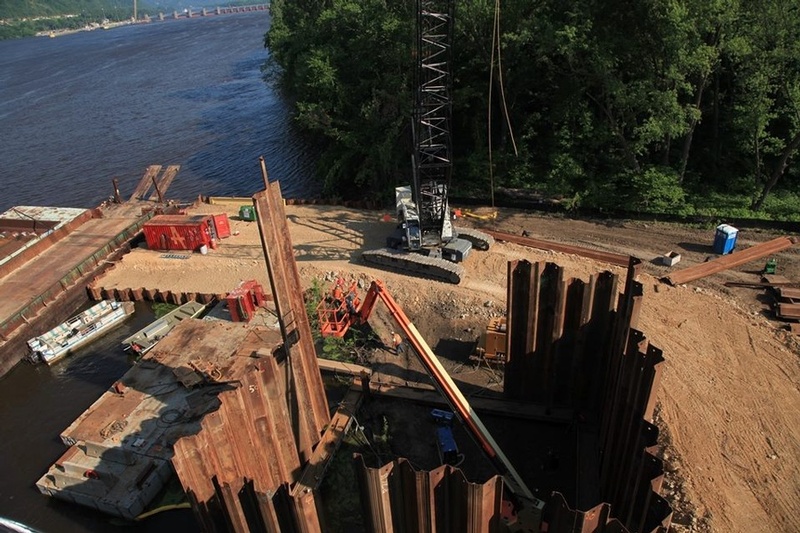 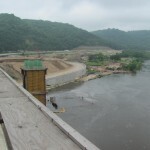 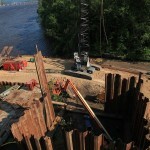 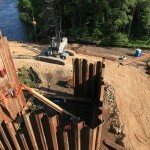 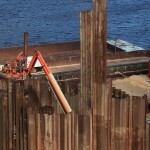 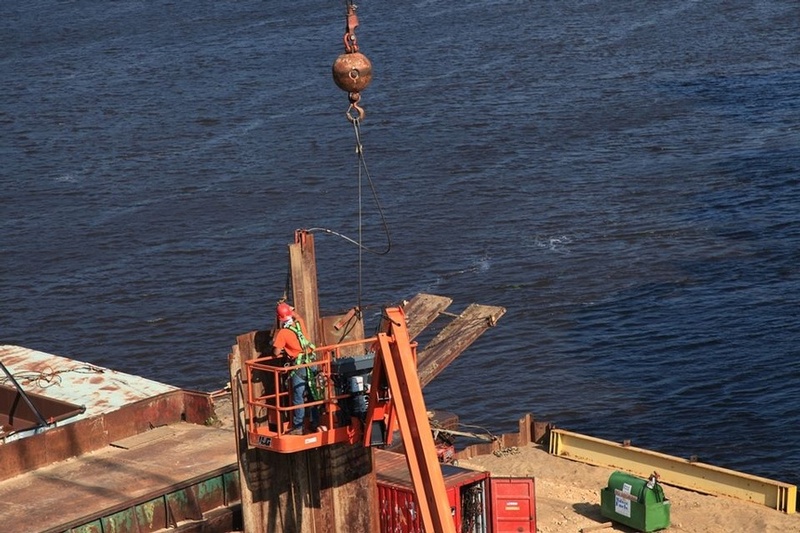 FINLEY provided design calculations and drawings for nine cofferdams, two of which will be constructed in over 60’ of water. 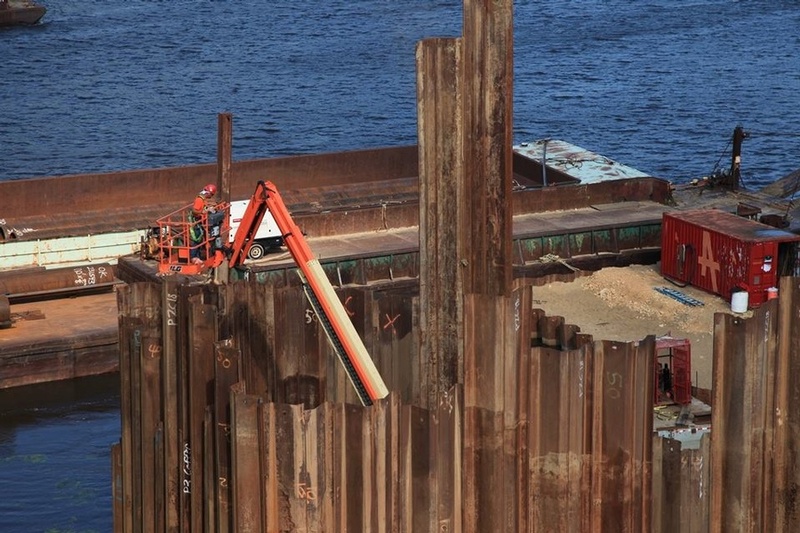 FINLEY worked with the contractor to incorporate their preferred details, means & methods, and coordinated throughout the design to make use of the most economical & readily available structural steel sections for a tailor-made design that used their materials. 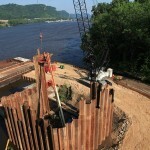 FINLEY submitted all items ahead of the demanding project schedule. 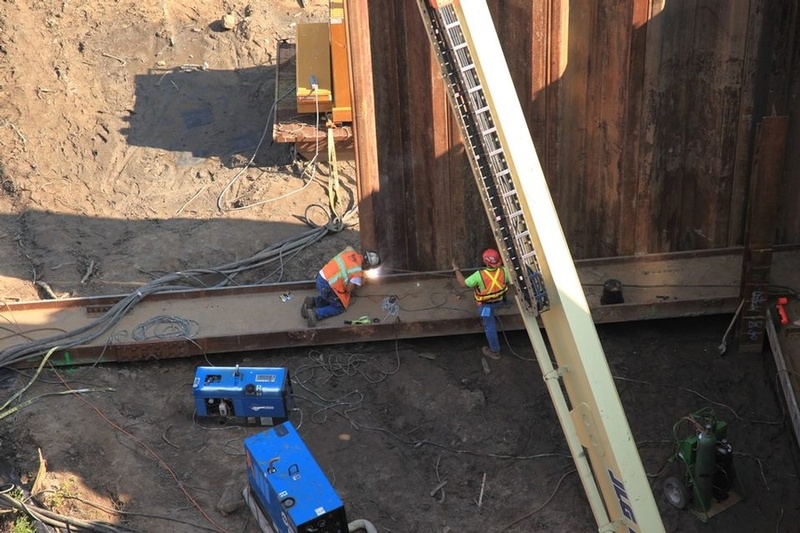 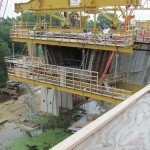 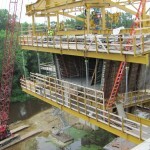 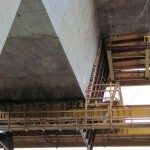 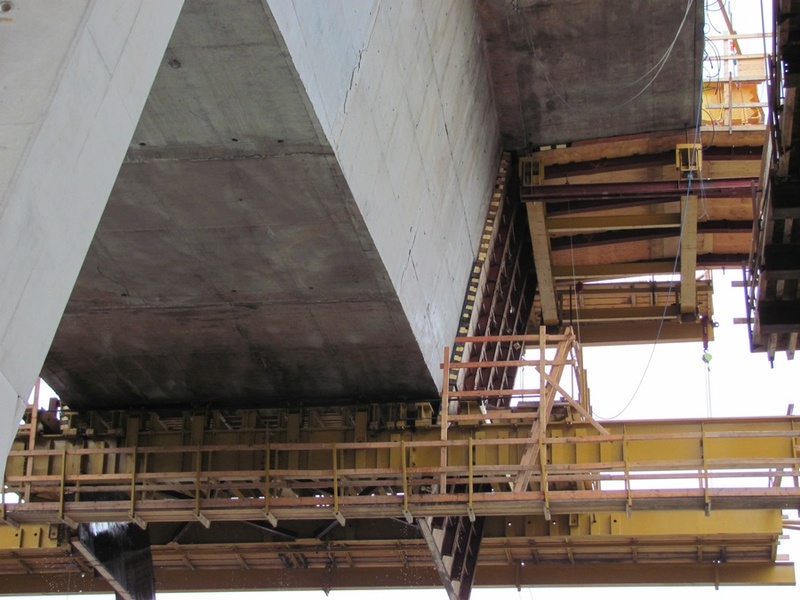 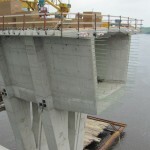 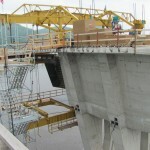 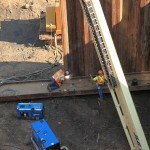 FINLEY also provided construction engineering, which included integrated shop drawings, construction analysis, camber curves & construction manual, falsework/temporary support works, segment casting geometry & casting manual, post-tensioning calculations & elongations, and on-site inspections & design office support.